It was in 1929 when Julián Barceló emigrated from Mallorca to the Dominican Republic. The following year from his establishment on the island, Barceló & Co. was founded with the intention to produce the best rum on the island. Currently, the third generation of Barcelós family continues to lead Barceló & Co. This Barceló Imperial, amber-red coloured and so bright, the nose appears to us aromatic and fragrant, lightly caramelized and fruity. Deep aroma of oak. Aged in American oak barrels that previously have contained bourbon, it tastes stale, slightly sweet, with aftertaste of oak barrel ageing. 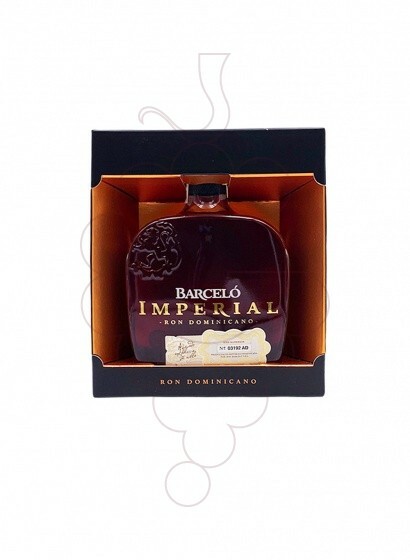 Rum Barceló Imperial, one of the more than 9000 products you can find in our online shop.